With the release of the new James Bond film “Skyfall”, I thought it appropriate to stop and take a look back at some of the music which has helped make James Bond films both new and old a success. 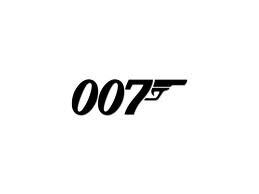 Here is a list of my top 8 James Bond theme songs. Not a huge fan of anything relating to the Beatles but this song rocks. I love how the song starts out simple then leads into a catchy, upbeat tempo. You can almost picture the explosion after each time McCartney sings the lyrics “so live and let die.” The song did well on the charts reaching number two. Like the previously mentioned song, this also reached number two on the Hot 100. While this song may not make you want to go out and kill some bad guys, it has a great melody which I think fits well with the theme of the film. I’m surprised this song didn’t chart higher. Peaking at number eight, Adele slows things down in this ballad with haunting lyrics that fit the James Bond theme perfectly. Adele’s soulful voice is ideal for this theme song. Maybe it’s just me but music was so great in the 60s. Reaching number eight, Bassey’s lyrics are minimal in the song, repeating the word “Golfinger” half a dozen times, however, the clever use of brass instruments make the song work by giving it a “classy” feel. Personally, I think this song is a little cheesy and not exactly “Bond” material with its slow, love ballad feel. However, it did relatively well reaching number four, so someone must have liked it, right? Not a bad song overall but one that definitely screams 80s. Sinatra, best known for her song “These Boots Are Made for Walkin”, takes a slower tempo with her James Bond theme song in 1967, complete with a light orchestral accompaniment that fits in lovely will her mellow voice and lyrics. A modest success, reaching number 44 on charts. Seven years after “Goldfinger”, Bassey is back with yet another Bond theme song. The song gives a similar vibe to her previous hit although it didn’t do as well in the charts, only reaching number 57. Still a mildly catchy tune which I place at number eight on my list. There you have it: eight songs, eight James Bond films. Which ones do you think should be up there? Disclaimer: The opinions and views expressed in this blog are the opinions of Erin Peden and do not reflect the opinions or views of any other Pioneer employees.